I’m a sucker for anything lemon. Lemon cake, lemon cookies, lemon/honey glaze on chicken. It’s bright and tangy and makes me happy. This recipe is from Cooking Light, May 2008. To prepare cake, coat 2 (8-inch) round cake pans with cooking spray; line bottoms of pans with wax paper. Coat wax paper with cooking spray. Dust pans with 2 tblsp flour, and set aside. Lightly spoon 2 c flour into dry measuring cups, and level with a knife. Combine 2 c flour, baking powder, baking soda and salt, stirring with a whisk. Place sugar and butter in a large bowl; beat with a mixer at medium speed until well blended (about 5 minutes). Add eggs, one at a time, beating well after each addition. Add flour mixture and buttermilk alternately to sugar mixture, beginning and ending with the flour mixture. 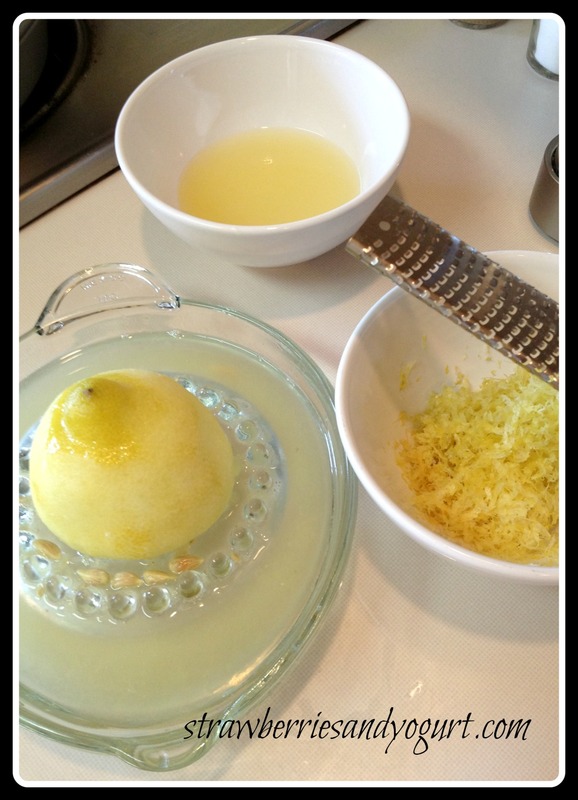 Beat in lemon rind and juice. Pour batter into prepared pans; sharply tap pans once on counter to remove air bubbles. Bake at 350 for 32 minutes or until a wooden pick inserted in the center comes out clean. Cool in pans for 10 minutes on a wire rack; remove from pans. Cool completely on wire rack; remove wax paper from cake layers. To prepare icing, combine all ingredients in a large bowl; stir with a whisk until smooth. 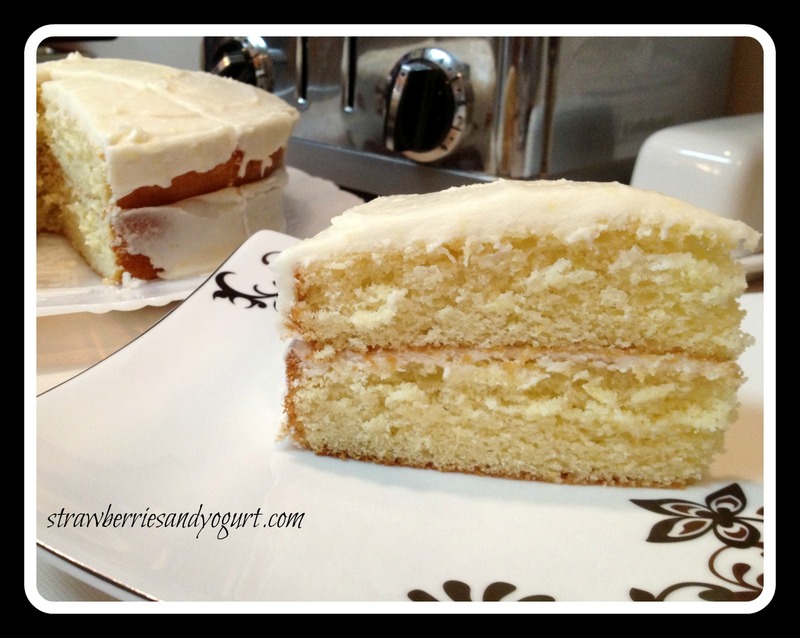 Place 1 cake layer on a plate; spread half of icing on top of the first layer. Top with second cake layer. Spread remaining half of icing over the top of the cake. Garnish with lemon rind strips, if desired. Store cake loosely covered in the refrigerator. Yield 16 servings. 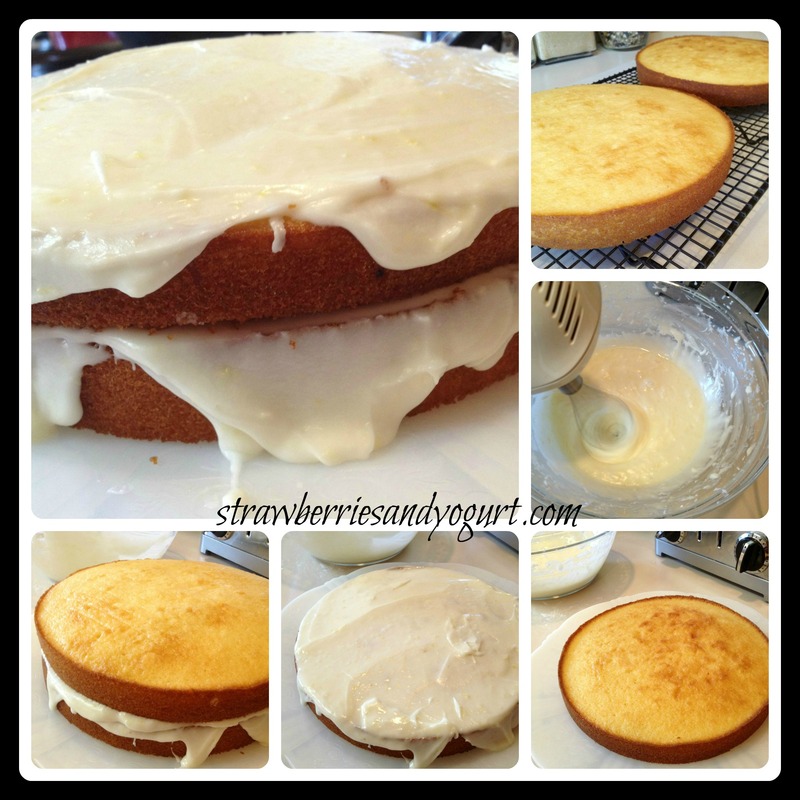 Posted on 07/17/2013 by katgustafsson	• This entry was posted in Dessert and tagged buttermilk, cake, Cooking Light, lemon. Bookmark the permalink. how much butter goes in with the sugar? There’s a 1/4c of melted butter in the icing.